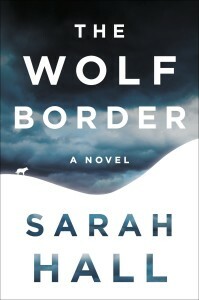 In Sarah Hall’s The Wolf Border, Rachel Caine, a zoologist specializing in wolves, is offered a job back in Northern England by a wealthy Earl. His Annerdale estate is near the village she grew up in, and her mother’s declining health motivates her to leave the Idaho wolf recovery project she’d been running with a few colleagues for almost a decade. The Earl of Annerdale, Thomas Pennington, has ambitions to return the wolf population to England after centuries: 1680 is “the date of the last reported wolf killed in the old kingdom,” and Pennington’s political and environmentalist agenda might finally change that ecology. With Caine’s expertise, a wolf preserve is erected on the Annerdale grounds, behind bastions of secure fencing like Jurassic Park. This enclosure has much of the local population up in arms, living in fear that the fences may someday come down. Scotland, meanwhile, is about to vote on seceding from England in a parallel tension of borders and their impermanence. Rachel Caine is an independent woman whose professionally inspired penchant for private living toes the line between confidence and loneliness. Her scientific approach to the world is an emotionless one, which makes The Wolf Border a difficult book to enjoy. The book is full of choppy, short sentences that describe in deadpan every possible detail of a scene. Hall frequently jumps from Rachel’s zoological life to her personal life in a heavy-handed attempt to show their parallels. Her sexual relationships are cold and canine: “Romance fails,” she thinks, “because it is never supposed to work, past the act itself, the moment of lust.” But maybe that will change: before moving back to England, she becomes pregnant after a fling with a co-worker and decides to keep the baby. Hall makes excessive attempts at showing how animalistic humans are: her characters, even, try to make those connections. It’s exhausting, and unnecessary. “Rachel shrugs,” when her brother tries to compare himself to her wolves. “Such analogies,” she thinks, “are not helpful, though she, too, has in the past made comparisons.” Hall, strangely, seems to disagree, as The Wolf Border is full of these connections. The re-naturalization of wolves into England is presented as a divisive, hot-button issue: throughout the novel, Rachel manages protests and wades through hate mail from local opposition. The existence of the wolf enclosure is the source of the book’s conflict, and Sarah Hall needs her readers to see both sides of this issue in order to remain interested in what happens to Rachel and her team. But, it’s not that dangerous a project: it’s about as offensive as opening any animal preservation, zoo, or research facility. 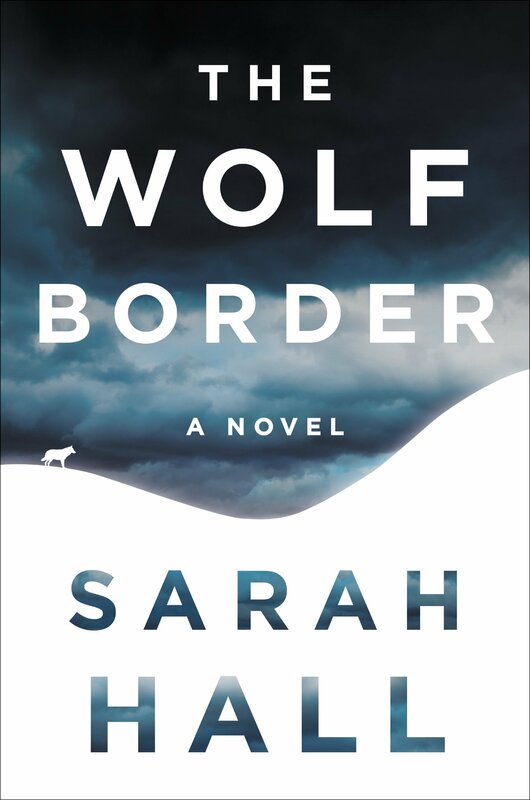 Readers who come to The Wolf Border familiar with Sarah Hall’s excellent and literary previous novels (How to Paint a Dead Man, The Electric Michelangelo…) will surely have a similar open mind and consider the Annerdale plot somewhat of a non-issue. Characters in the book remark at length on how scientifically by-the-book the enclosure is, and how there’s nothing to worry about with regards to its operations. Then, why do we, as readers, need to endure so much concerned dialogue, justifications for the project’s merits, and watch Rachel clamor internally for some of kind of self-assurance to know that what she’s doing is the right thing? As the novel unfolds, it feels as though Sarah Hall sees her wolves as a dry well of plot and moves on to other stories. Rachel Caine’s pregnancy reshapes The Wolf Border into what eventually becomes a novel about being a single mother (who happens to work with wolves on what we’re told is a controversial project). Stretches of chapters unfold that are so far removed from the wolves of Annerdale that they could be cut and pasted into another novel and no one would be the wiser. Once her baby is born, Hall shifts gears again to an unnecessary sub-plot about Rachel’s brother. A terrible feeling sinks in after each of these shifts in the book: could Hall have become bored with her previous stretches of prose, and are these attempts at resuscitation? At nearly 450 pages, The Wolf Border suffers from a lack of focus and commitment.